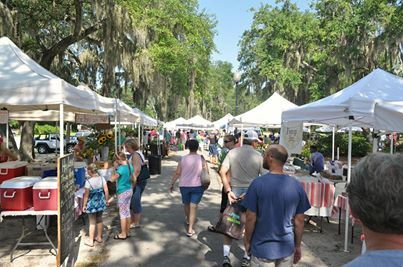 Saturday’s Farmer’s Market in Port Royal was another huge success! What a beautiful day! Plungers and Spectators donate money at the Plunge to the Friends of Hunting Island, and 100 % of the proceeds go to fund Discover Carolina, an educational program which brings Beaufort County 3rd, 5th, and 7th graders to the park. 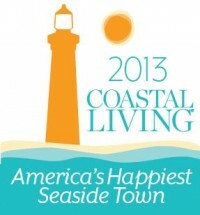 This is the Friends of Hunting Island’s main event in support of Discover Carolina. So far, more than 3,000 students have visited Hunting Island for a day of hands-on learning. The 2013 Plunge raised about $4,000. Plungers please raise funds from friends and family to contribute. For those not plunging, please come on out and support a Plunger, or find someone who is plunging before the day and make a contribution. It is money very well spent. Come join the fun! Registration begins at Noon and is on-site, the day of the event. 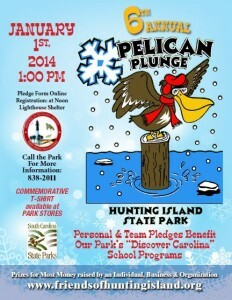 Visit http://www.friendsofhuntingisland.org/pelican.html for all the info you need to PLUNGE!